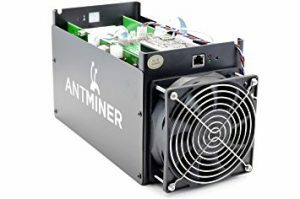 Did Bitmain Develop an Ethereum ASIC Miner? Economic activities related to cryptocurrencies have been growing during the last year. Cryptocurrency miners have seen an incredible possibility to profit from rising cryptocurrency prices. In December 2018, the crypto market reached new records, and mining activities were more profitable than never before. The main companies benefited by this price increase of cryptocurrencies were AMD, Nvidia and Bitmain. All of them are selling different GPU, CPU and ASIC miners. According to a Wall Street Analyst, Bitmain would be ready to start shipping ASIC chips from the second quarter of 2018. Ethereum is a cryptocurrency that can be mined using ASIC or GPU hardware. AMD and Nvidia were the most important providers of this kind of hardware to the industry. But Wall Street firm Susquehanna explained that Bitmain will start shipping ASIC miners for Ethereum. At the same time, Christopher Rolland explained that there are other companies that are working developing Ethereum ASIC, but he did not say the names of the other enterprises. “While Bitmain is likely to be the largest ASIC vendor (currently 70-80% of Bitcoin mining ASICs) and the first to market with this product, we have learned of at least three other companies working on Ethereum ASICs, all at various stages of development,” Mr Rolland explained. Bitmain has been developing ASIC chips that were used to mine Bitcoin. The last year, Bitmain has generated as much as revenue as AMD and Nvidia. Bitmain is a very important company in the mining industry. There are few competitors that are able to challenge Bitmain and these new products will make it more competitive. Samsung has also announced that it is going to participate in the cryptocurrency mining industry. The South Korean company announced that it will start to manufacture cryptocurrency mining equipment.